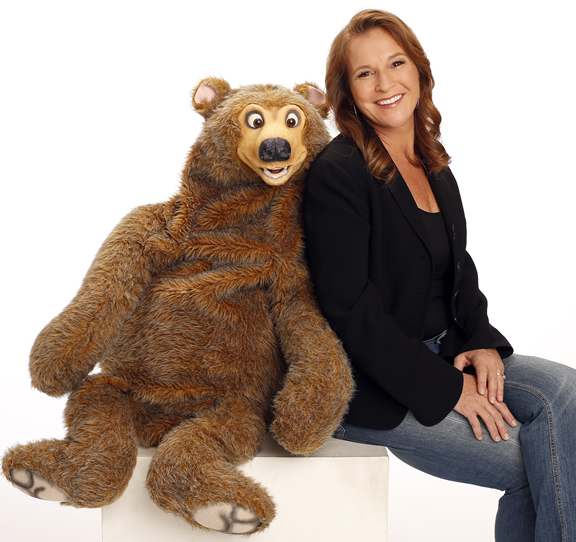 Home » Roster » Campus Events » Comedy Ventriloquist Lynn Trefzger…voices of comedy! Have you ever had a childhood hobby that got out of hand? That explains Lynn Trefzger’s start as a ventriloquist/comedienne. For over 30 years, Lynn has given life to a trunk full of comical characters. She has performed for audiences worldwide in Performing Arts Centers, on Cruise Ships, Festivals, opening for Major Country and Comedy Artists, Community Centers and for Private and Corporate events. Audiences are treated to Lynn’s vocal illusion talents, when they meet a drunken but lovable camel, a cantankerous old man, a feisty little girl, and you may even see some other audience members who are brought up to the stage for the action! Lynn’s show is spontaneously funny, no two shows are alike! Her performances are tailored for both family and adult audiences. Association of Campus Activities. She has been nominated for Best Female Performer by Corporate America Magazine, and has been named Funniest Female by Campus Activities Magazine. In 2010, Lynn received the “People’s Choice Award” by the Ohio Arts Presenters Association. Lynn and her many voices were first brought to national audiences on TV’s popular “Star Search”, since then she has performed on TNN, Lifetime and Comedy Central. 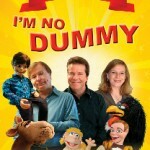 She is featured in the comedy/documentary, “I’m No Dummy” produced by NBC Universal. This whimsical and insightful hit comedy doc about ventriloquism examines the world of “venting”, illustrating that this perceived novelty act is an extraordinary art form. 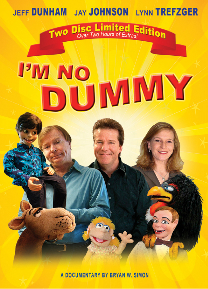 Lynn performs with veteran ventriloquists, Tony Award® winner Jay Johnson of sitcom SOAP fame, two time Comedian of the Year, Jeff Dunham. When she is not performing for audiences, Lynn is the managing director for her own family of 5 children and one very patient husband! It had been a long time since I had seen Lynn Trefzger perform, but as I watched her emcee the Saturday All Star Show at this past convention I was struck again by just how talented she is. Her technique and timing are flawless; her characters Camelot and Chloe are charming; and most importantly she’s funny. But the element of her act I admired most was that she made it all look so effortless, when I know for a fact that being an excellent ventriloquist is far from easy. After the convention, I was doing follow-up work with CBS Sunday Morning, looking through the photo archives and came across the Junior Contest photo with both Lynn and Jeff Dunham from 1981. I realized again what I have known from being at the convention year after year. Lynn (and Jeff and all the top professionals) are SO good because they have worked at this thing called ventriloquism for a long time. It is such a difficult craft/art/skill that it’s not something at which you are instantly good.